Toyota’s vaunted Prius line is racing into third place in total cars sold worldwide, proving that, far from being a niche market, hybrid technology is as mainstream as it gets. The news comes soon after two new Prius models hit the market, making the gas-sipping lineup a tough act to beat. So far, Toyota has produced 4 million hybrids with sales accelerating along with the surging price of gas. Ten years ago, the Prius was the first hybrid to hit the market, and it was widely considered a curiosity for the granola crowd. But with the release of April’s sales numbers, the car is nipping at the Ford Focus’ heels for the #2 spot, with sales of 220,000 units projected for 2012 in the US. The surge in interest is not only a symptom of rising fuel costs; it’s also a result of Toyota’s release of two new models to fill out the Prius lineup. 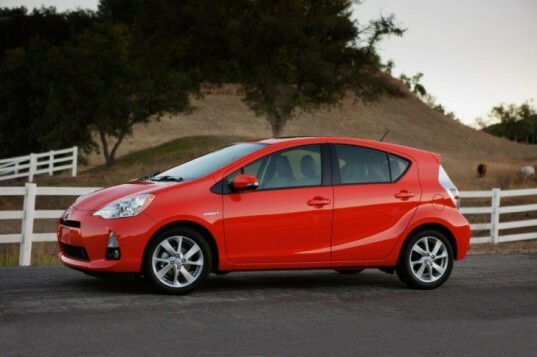 The goldilocks approach — offering three sizes — figures to pay off for Toyota, with the new Prius C being the most fuel efficient non-electric car available. 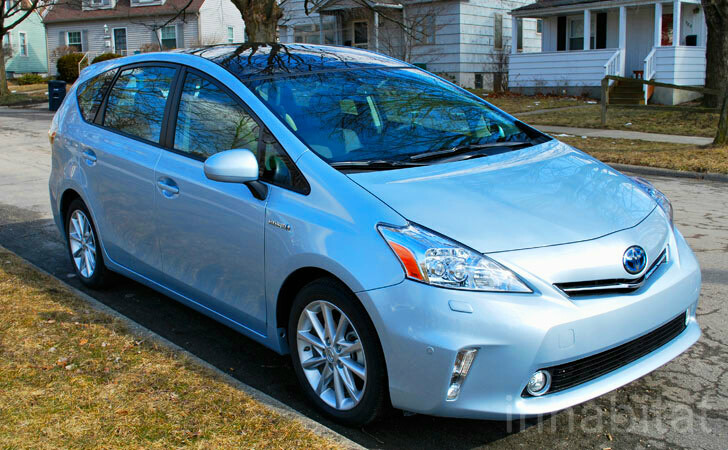 The other addition is a roomer Prius V that we test drove in February. Toyota has long benefited from Prius’s ‘halo’ effect, which has helped to boost sales across its entire line, but now the car is selling almost as well as the Corolla, which comes in at #1 in sales. The news should open other automakers’ eyes to the commercial viability of fuel-efficient vehicles.